Pavers come in two varieties, Paver and Antipaver. Each will connect to themselves, but they won't connect to the other, allowing for some interesting patterns. Pavers and Antipavers can be interchanged freely in the crafting grid. Artifice adds steel, which is used in crafting the top tier frames and other items. An alternate steel recipe is available via the config. Upgrades are consumable items which can be crafted with tools, weapons, or armor to apply mundane enchants. By default these are limited in strength. They also obey enchantment application rules, so you can't apply multiple types of protection to one item, respiration on shoes, or anything like that. You can apply as many upgrades as will fit in the crafting grid at a time, for the sake of convenience. All worldgen added by Artifice can be retroactively added into a world, if necessary. Check the configs. Artifice has support for a number of other mods, the most important of which being the ability to transmute basalt and marble from cobblestone using EE3. I make every effort to provide configuration options for every feature, and to that end, all features can be independently enabled and disabled. SMP compatible, place the jar in the mods folder. See here for build-to-build changes. If you encounter any issues the very first thing you need to do is update to the latest stable version. Very often issues are fixed quickly, and a simple update will solve your problem. If updating doesn't work, then you need to provide a detailed post about what, exactly is going wrong. If there is a crash involved you must provide a full log of the crash. This mod is distributed freely for non-commercial use. You are free to include it in any modpack without needing to ask permission (I'd certainly love to hear about it though! ), as long as you give proper credit. You are also free to produce ports. A link back to this thread would be nice when redistributing, to keep things neat and clean. Here's the repository I use to develop Artifice. I encourage you to check it out if you're curious about the code or bugfixes or whatnot. I always appreciate pull requests to fix bugs or improve code. Of course, I don't appreciate code being nabbed wholesale without credit, just ask if you aren't sure. I make use of a Jenkins system to automatically build my stuff, and it can be found here. If they aren't marked as stable, they will probably do bad things to your world, so please do not include non-stable builds in modpacks, I don't want to hear about how you killed your world by ignoring this. If you're curious about what might be coming in the future, I like to keep a list of ideas here, in no particular order and with no guarantees. If you would like to get in touch, the best place is this thread. You can also PM me about server-specific or otherwise unique queries, but I can't guarantee I'll respond to others. I'm also often available on the Espernet and Synirc IRC servers as Shukaro, as well as on Twitter as @Shukaro, if you'd like to shoot me a message there. Some people have wanted this, so here you go, in case you're feeling especially generous. Don't forget to mention that EE3 can turn cobble into marble cobble and swap between marble and basalt. Also this is totally one of my favorite mods. The pavers make for the neatest designs. It's a nice mod, but if I have ic2 installed, won't it crash because of conflicting recipes? The recipe for steel is the same as the recipe for refined iron. This mod is awesome, if you aren't downloading it you are missing out severely. It won't crash, but one of the recipes will override the other, depending on which loads last. You can disable steel smelting in the config if you'd like to do so. Ah, that's great! Thank god for configs. Hi Shukaro, congrats on releasing! 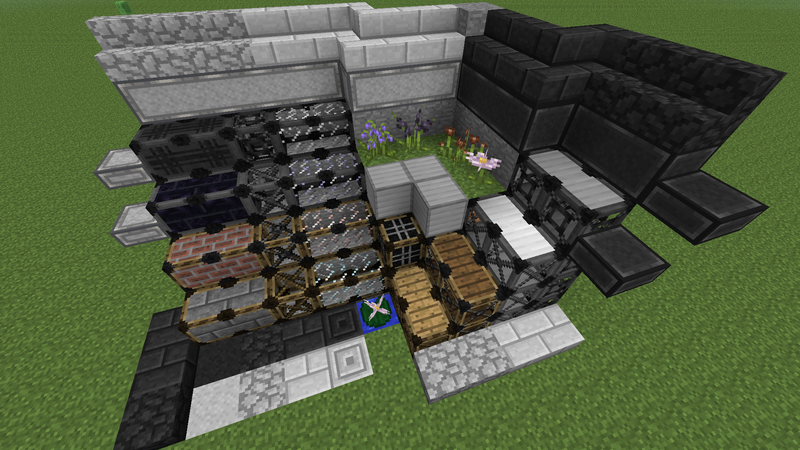 Ok so Chisel mod adds in Marble as well..now will these clash or work together like the same type of marble? There is actually mod compatibility in place that makes the two interchangeable in a crafting grid. Thanks adding this to my survival now, but I'll have to regenerate some chunks. Great mod. Been using for a while. New in 1.1.1: Sickles to harvest plants and leaves. I applaud you, sir. This is absoloutly great, combining some of the best aspects of mods that still haven't been updated to give us a huge lump of awesome. Well done. PS: Those pavers are bloody ingenious. As some may have noticed, Artifice is now included in the fantastic Hexxit modpack. Enjoy! Small quality-of-life change, boxes now display any enchants that are on stored items. Should make it easier to use them to store enchanted books and tools. One problem I have, (Haven't tested mod yet, but assumption is) IC2 recipe for refined iron is the same recipe for your steel.